Lexar, along with Sandisk was one of what many thought were the premier memory card manufacturers for portable devices including cameras. Lexar also manufactured USB flash drives, memory card readers, and storage drives for both retail and OEM customers. Micron stated that they are exploring opportunities to sell all or part of their Lexar business. Numerous sources have indicated prospective buyers, who wish to remain unknown at this time, have already contacted Micron. For now, Micron will provide support to existing customers and presumably honor Lexar warranties. Lexar's top memory card line included a limited lifetime warranty. Details about if and how Micron plans to honor that warranty have yet to be made available. For most camera memory cards there continues to be a wide choice for consumers, even though Micron is closing Lexar. That isn't true for the XQD card. With Lexar going out of business, that leaves only Sony manufacturing XQD cards at this time. That is troublesome for Nikon customers who own one of Nikon's current flagship DSLR models. While we don't know the ratio of Nikon D5 DSLRs (Full Frame – FX) who own the XQD version versus the CF (compact flash) version, it is believed that photographers have purchased many more utilizing XQD memory cards than CF cards due to the XQD card's superior speed specifications. The DX sensor format Nikon D500 also uses XQD cards (The Nikon D500 has two memory card slots; XQD and SD.) Nikon's former flagship models, the Nikon D4 and D4S also had an XQD memory card slot. 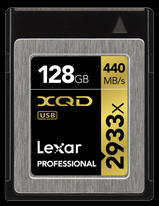 XQD memory cards are significantly different from other memory cards utilized by camera manufacturers. They use PCI Express as its data transfer interface. Other camera memory cards use slower UHS or SATA interfaces. I believe that Lexar will be sold and continue operations, as it is well positioned in the marketplace with a very nice income statement and balance sheet. That's important for Nikon. There is a possibility that Sandisk might finally be drawn into marketing the next version of the XQD type form-factor memory card, the CFExpress. CFExpress is a new standard of the CompactFlash Association (XQD is also a CompactFlash Association standard.) The CFExpress (CFE) builds on the XQD card. It also uses a PCI Express interface, but improves upon the XQD card by moving to the PCIe 3.0 standard from the 2.0 standard. It will initially use two lanes for data transfer. The XQD card used just a single lane. Theoretically, the CFE card can use eight lanes of data transfer. If the CFE card will be manufactured with backward compatibility, current Nikon cameras would have a new manufacturer to purchase cards from, as Delkin is set to manufacture the CFE memory card. I believe that Nikon will not abandon the XQD/CFE card for future DSLRs and any upcoming mirrorless line they will introduce, as its advantages over the SD and CF types of cards, including the CFast card, are considerable. For now, XQD users will have no trouble maintaining the use of their cameras as there are more than enough XQD cards in the manufacturing pipeline. With the upcoming CFE cards and the entry of Delkin as a manufacturer, it appears as though Nikon users will continue to be well served by this advanced standard in the future. I've got a D5 that only uses the XQD cards. Frankly, I'm really concerned about Sony being the only manufacturer of XQD cards that work in my D5. They can increase costs and I'll be stuck.